LendingTree is a mortgage loan broker that allows homebuyers to compare various mortgage loan offers. Find out if it's right for you. LendingTree is an online marketplace connecting borrowers to a broad network of lenders, and has aided over 55 million loan requests since it was founded in 1998. Its website is easy to navigate, and its credit score function is top notch. When you qualify for a loan, you can see the offer immediately and view additional details to help you make a decision. You must enter a Social Security number to view loan offers, and the average rates are not available on the site, which may not be ideal for every potential borrower. Who Is LendingTree Best for? Since there are hundreds of lenders competing for your business, LendingTree is able to provide a custom-tailored selection of offers to choose from based on your specific criteria. In addition, LendingTree lets you compare different loan terms side by side in order to find the best monthly rate. LendingTree does not charge a fee for connecting users with its network of partners, so you will never have to worry about hidden fees for this service. The company also offers free credit scoring, which can be valuable as you determine your loan options. By filling out one form, your information is sent to multiple lenders, saving you time. LendingTree has a network of over 350 lenders, creditors, and banks, so you are guaranteed the best offer based on your parameters. While there is no fee charged to shop for a mortgage loan, you must provide a Social Security number before rates are shown. You will receive a loan offer from a lender within minutes when you qualify. The entire application process should take approximately 10 minutes. Go to LendingTree’s home page, select the type of loan you want, and complete an online request. If you need help, look for the calculators, a home valuation tool, and tips to help you along the way. You can also contact LendingTree Customer Care by phone with questions. Knowing your credit score is the first step in securing a loan. LendingTree allows you to check your credit score for free and tells you how it will affect your ability to secure a loan. As a loan broker, LendingTree is a viable option for borrowers with a vast array of credit scores. Since the company is partnered with all types of lenders, you may have a better chance of finding one that works with individuals that have bad, or even limited, credit. Within minutes of submitting an application, you'll receive loan offers from several different lenders. If you're not exactly sure where your credit stands or what kind of offers to expect, this will help you wade through lots of options and get an idea of what loan terms you could be receiving. Once you understand how LendingTree works, you can evaluate the quotes you'll receive in the My LendingTree portal to find the best offer for you. Some users complain about the large number of phone calls and emails they've received from lenders almost immediately after filling out the form. Because LendingTree passes your information to lenders, there's no real way to limit this contact. You are agreeing to it when you decide to apply for a mortgage loan. 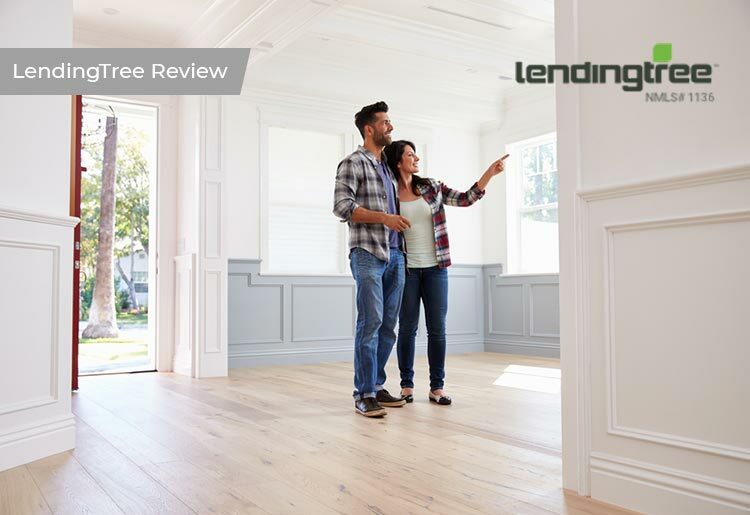 If you do not want to deal with many lenders vying for your business, a broker like LendingTree might not be a great choice for you. Although LendingTree allows you to compare multiple offers at one time, this may be overwhelming for some. Hundreds of lenders competing for your business allows you to choose your terms, based on specific criteria. You decide the amount you want to put down, an APR, and repayment term, and LendingTree sends you offers. Terms are not set by LendingTree, but by individual lenders based on your criteria. Best of all, you can easily compare the different terms to see how they would impact your monthly rate, lifetime investment, and other factors. LendingTree offers calculators and tips to help you through the application process. You can also contact LendingTree Customer Care at 1-888-555-8733 with questions. Where can I find my loan offers? As part of your quote retrieval, you'll be signed up for LendingTree's My LendingTree portal. In the online portal, you'll find individual lenders loan offers there, often in only minutes. As the quotes are added to your account, you'll receive a notification. What are LendingTree's closing costs? LendingTree does not charge you any fees. Every lender sets its own fee structure regarding closing costs and the final fees are determined between you and your finalized lenders. Can I email, mail or fax in my LendingTree application? With a strong commitment to speed and accuracy, LendingTree does not accept any applications outside of it's online form or phone line. This reduces the possibility of errors and unnecessary costs and delays. Bad credit is not an obstacle to owning a home with LendingTree. Because it has a range of lenders, borrowers with poor credit will be matched with loan providers who are happy to consider your application.